by olivia@4myears.com - September 5th, 2014. Filed under: Hearing Loss, News. Tagged as: football, football fans, hearing aids, hearing health, Hearing Loss, hearing news, hearing protection, Miracle-Ear, noise, protect your hearing. “As you can imagine, it is a sensitive issue in the midst of an unbelievable season,” says Nancy Alarcon, a speech-language pathologist at the University of Washington in Seattle. The crowd noise at NFL games currently averages between 80 and 90 decibels, according to Jack Wrightson of the acoustical consulting firm Wrightson, Johnson, Haddon & Williams, Inc. in Dallas. That, according to the American Speech-Language-Hearing Association, is already hovering around the “loud” and “extremely loud” range. The National Institute of Occupational Safety and Health, or NIOSH, warns that without proper protection, exposure to 85 decibels for more than eight hours could lead to permanent hearing loss. Each time the noise level increases by three decibels, the recommended exposure time is cut in half. That’s why it’s even more disconcerting to hearing experts that cheering fans can push levels well into the hundreds. At these levels, it only takes between 1 and 15 minutes for the sound to damage your ears. The average football game lasts nearly three hours, with noise levels inching toward “painful” as the excitement increases. By NIOSH’s noise meter, 137.6 decibels is almost equivalent to the sound level jet engines make during takeoff. 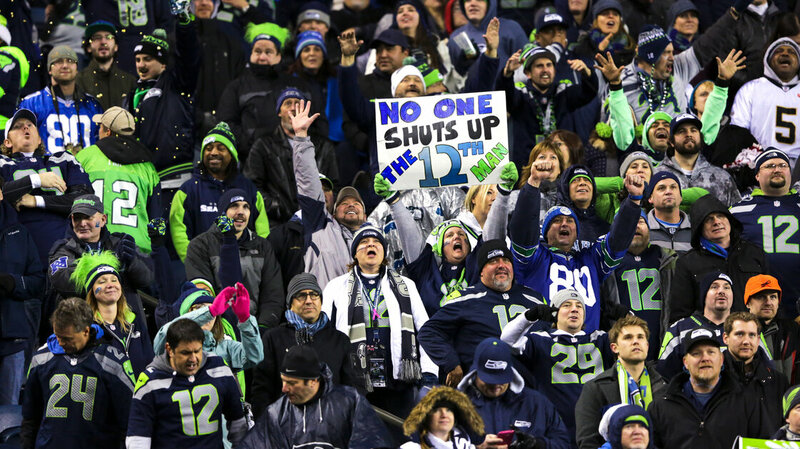 But unlike airport employees, most Seahawks fans don’t wear ear protection. Each person responds differently to noise. For some, it can take as little as one game to start experiencing the effects of hearing damage, Alarcon says. Regular attendees are even more at risk as they repeatedly put strain on their ears, because the damage is cumulative. Most spectators will experience anything from temporary hearing loss to ringing in the ears, according to Julie Bierer, an audiologist specializing in cochlear implants at University of Washington. In some cases, the ringing doesn’t stop and the individual develops tinnitus, an incurable condition that can signal a more serious underlying problem. Over time, some people can develop permanent hearing loss, which happens when tiny hair cells the in the inner ears gets so damaged that they no longer can transmit sound to the brain. Others can end up with hyperacusis, in which the volume of everything around them seems to be stuck at maximum, ear-splitting levels. “Not everyone responds the same and some are more susceptible than others,” Bierer says. But all this can be prevented for just a couple of dollars without taking away from the excitement. A $10 pair of ear protection earmuffs or more subtle foam earplugs will reduce noise levels by 20 to 30 decibels. “So you will still get the energy and the fun of it,” says Bierer. The solution sounds simple enough, but as David Murphy, the original project designer of the Seahawks’ CenturyLink Field will tell you, temptation is irresistible. 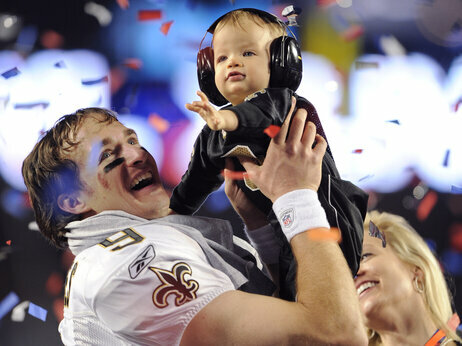 A football fan himself and a father, Murphy made sure that he and his children all wore earplugs to the Seahawks’ championship against the San Francisco 49ers on Jan. 19. But he admits to Shots, “We took them out pretty soon. “You get caught up in the passion and enthusiasm,” he says. Murphy adds that architecture only contributes so much to the crowd noise. 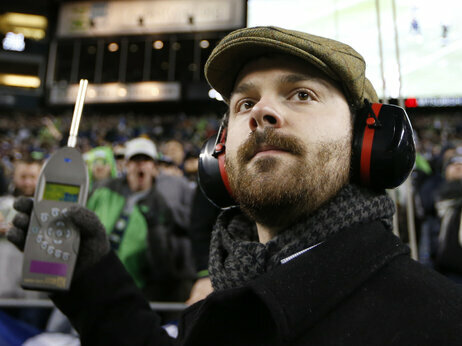 CenturyLink may have provided the necessary acoustics to help concentrate and direct noise onto the field, but in the end, it comes down to the fans. « The Boss Wants to See You!